Actor Sivaji Raja has now joined hands with YSRCP's YS Jagan Mohan Reddy. This is seen as an act of vengeance against megastar Chiranjeevi's brother Nagababu aka Nagendra Babu, who allegedly insulted him during MAA elections. After losing the Movie Artiste Association (MAA) election and becoming the president, Telugu actor Sivaji Raja has now joined hands with YSRCP leader YS Jagan Mohan Reddy. This is seen as an act of vengeance against megastar Chiranjeevi's brother Nagababu aka Nagendra Babu, who allegedly insulted him during MAA elections. During the election, Nagababu took a dig at Sivaji Raja saying that he would not be able to handle the issues of the MAA properly. Nagababu said, "I was disappointed with the last term's office-bearers. Everybody and anybody would talk about the MAA saying this office couldn't do anything. I was disappointed with their performance. Naresh and Jeevitha garu came forward to speak for MAA." Naresh's group defeated Sivaji Raja's panel in the recent governing body elections of Movie Artistes Association (MAA) and Nagababu had played a key role in the results. Suresh Kondi‏, a reporter from the film industry, tweeted, "Actor and former President of #MAA #ShivajiRaja will join #YSRC party. To give return gift to #Nagababu?" Several speculations have been made about Sivaji Raja joining the YSRCP. A buzz is that he may be pitted against Naga Babu in the coming Andhra Pradesh Assembly elections. 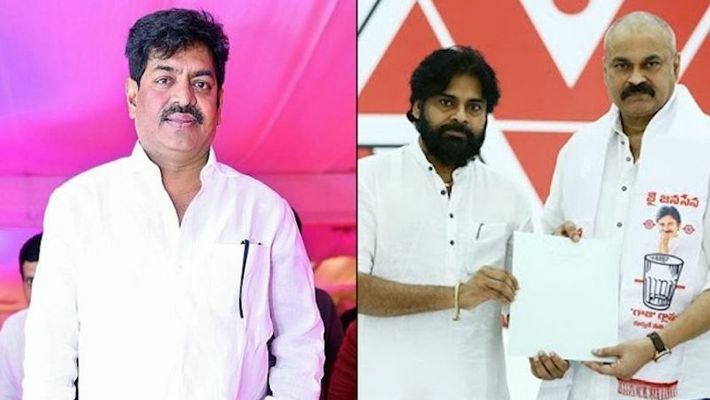 The actor may be seen campaigning against Naga Babu, who is contesting Lok Sabha elections as Jana Sena Party candidate in Narasapuram. Now we have to see what role he will play in the YSRCP.